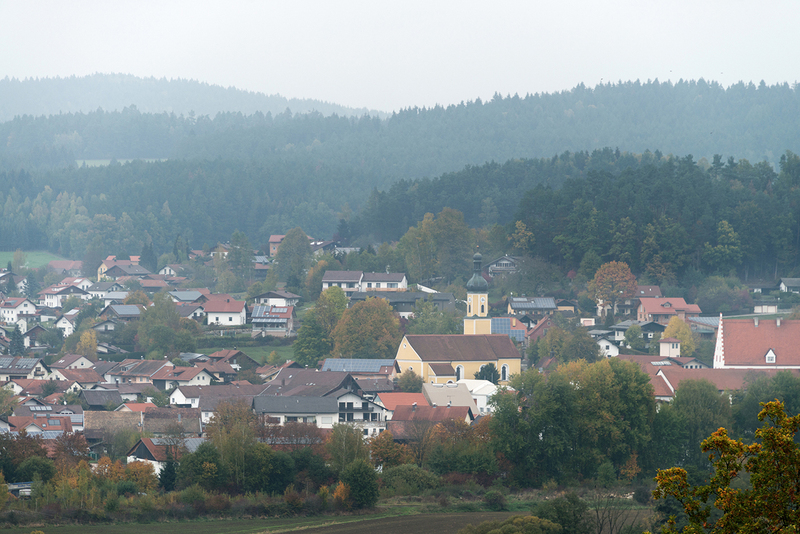 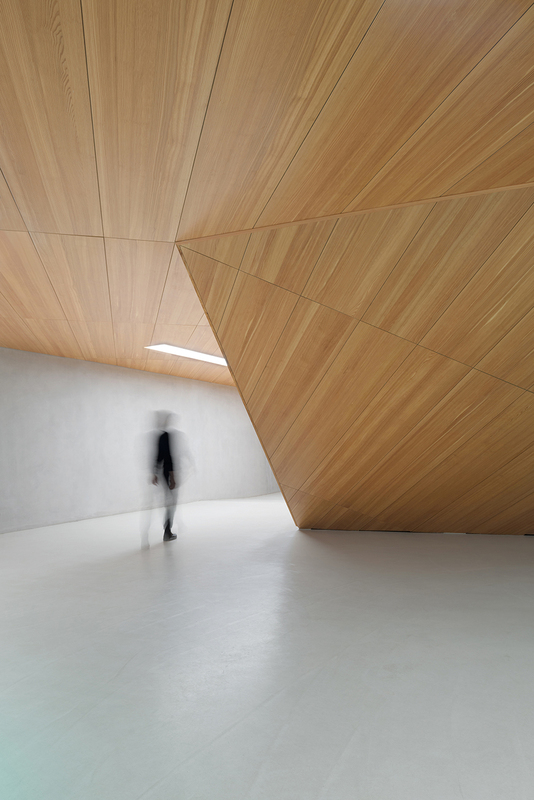 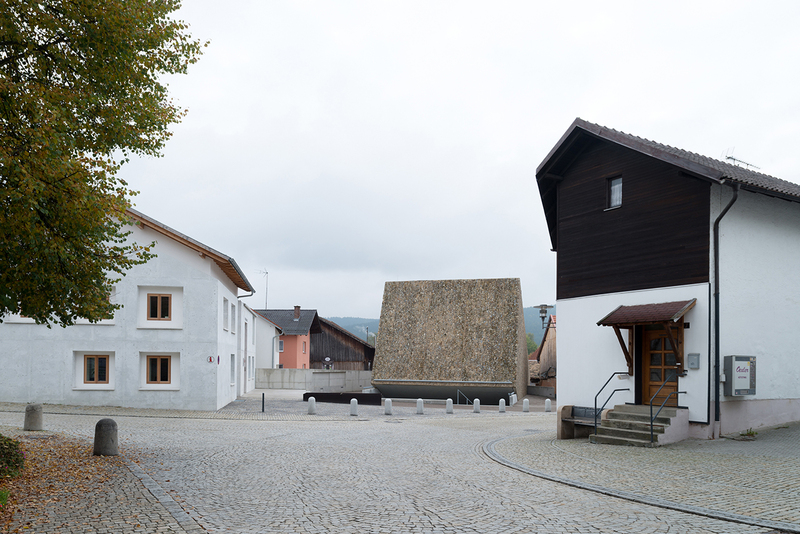 Nestled within the Bavarian woods in southern Germany, the small village of Blaibach has recently been given an architectural revamp through an ambitious regeneration project, which was completed in 2014 and included a new town hall, an artist’s guesthouse and a 500-square-meter concert hall, the latter designed by Munich-based architect Peter Haimerl. 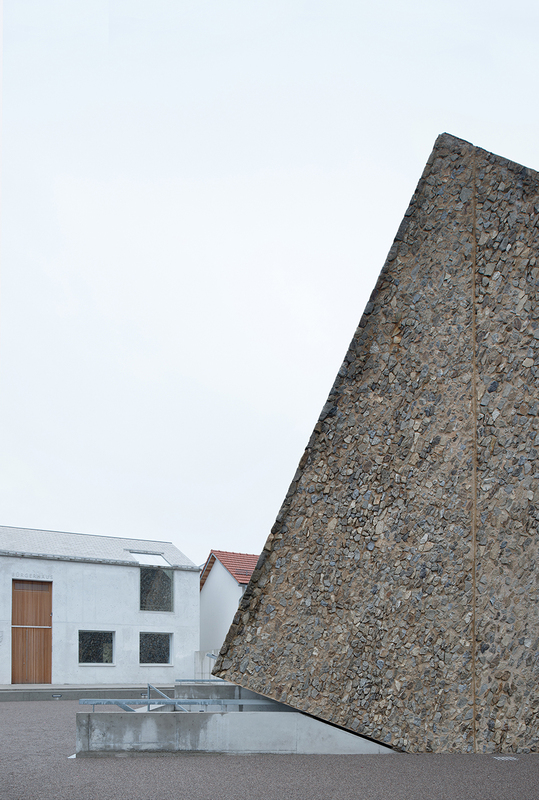 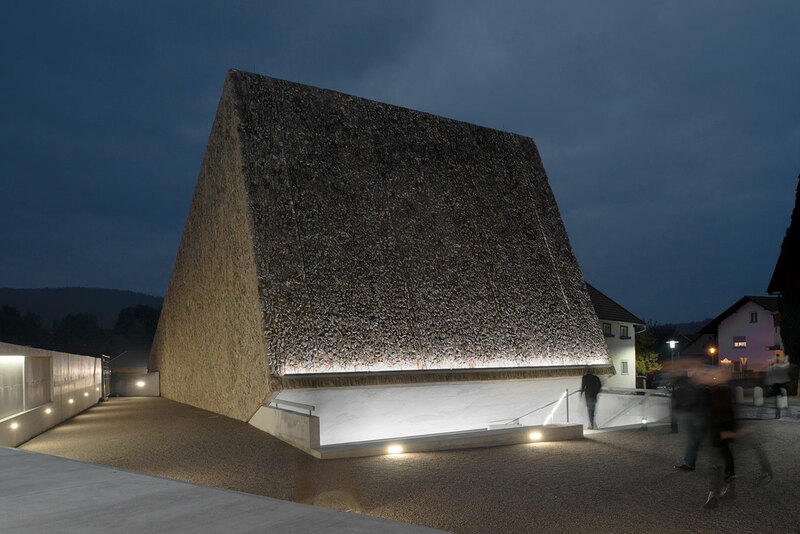 Coated in a granite façade reminiscent of Blaibach’s stone-carving tradition, the tilted concert-hall building appears as a large-scale rectangular sculpture that is half-submerged, creating an interesting new dynamic in the village’s architecture while responding to its topographical surroundings. 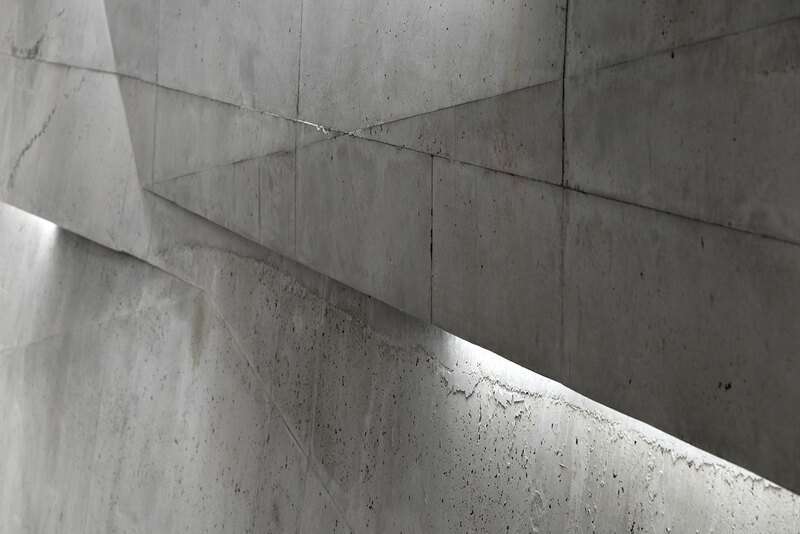 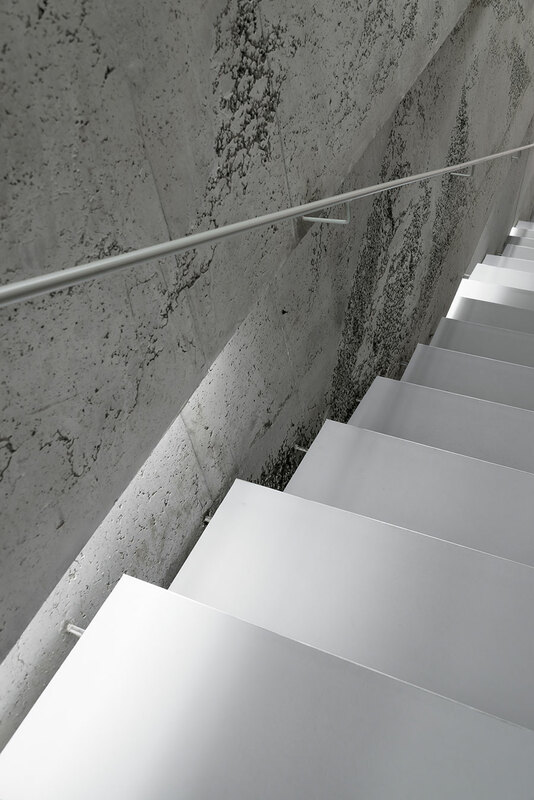 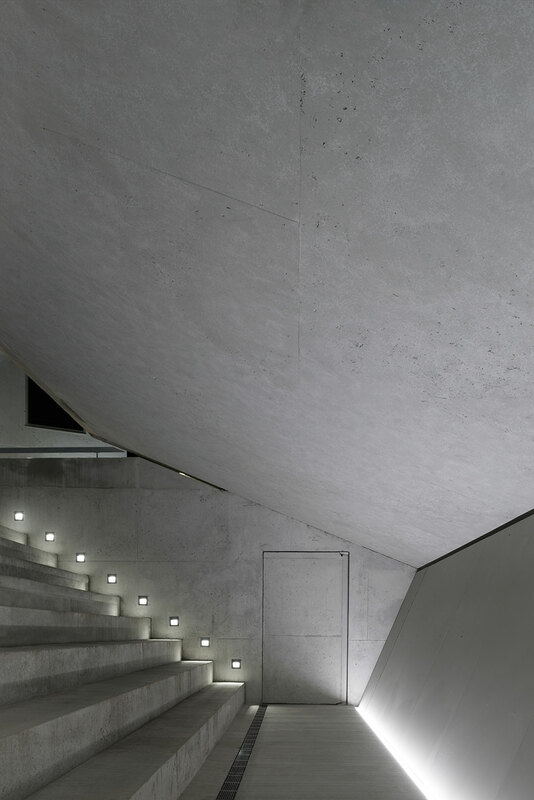 The upwards-inclined orientation of the quarrystone-clad volume actually leads visitors down a series of concrete steps and into a subterranean foyer. 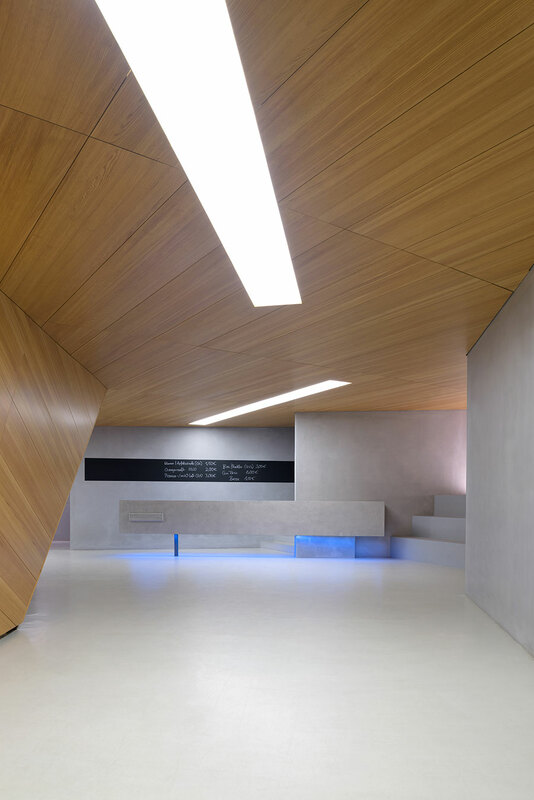 Acting as a transitional area, the foyer keeps all functional spaces such as cloakrooms, toilets, and a bar well hidden behind wood-panelled walls. 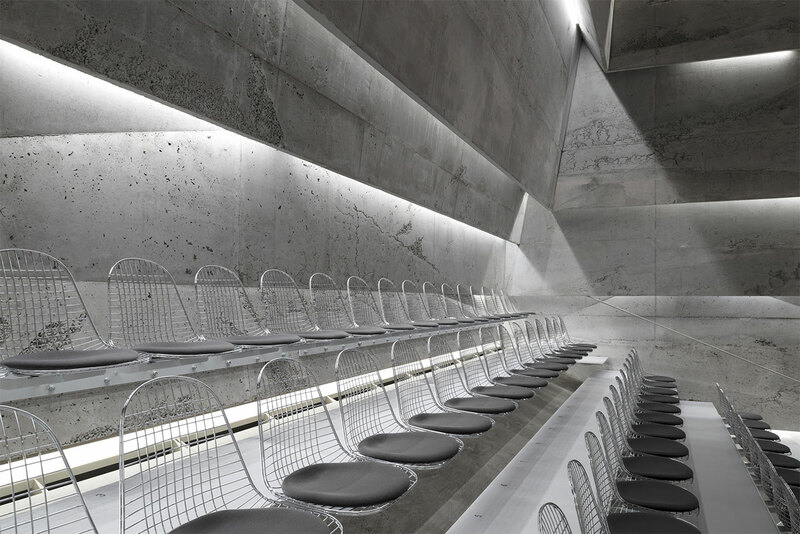 Inside the 200-seat auditorium, stripes of indirect artificial light mesh with layers of untreated pre-cast concrete to create a pleated effect, while the space’s Eames DKR steel-wire seating appears almost translucent, floating above the light slits and drawing all focus towards the stage. 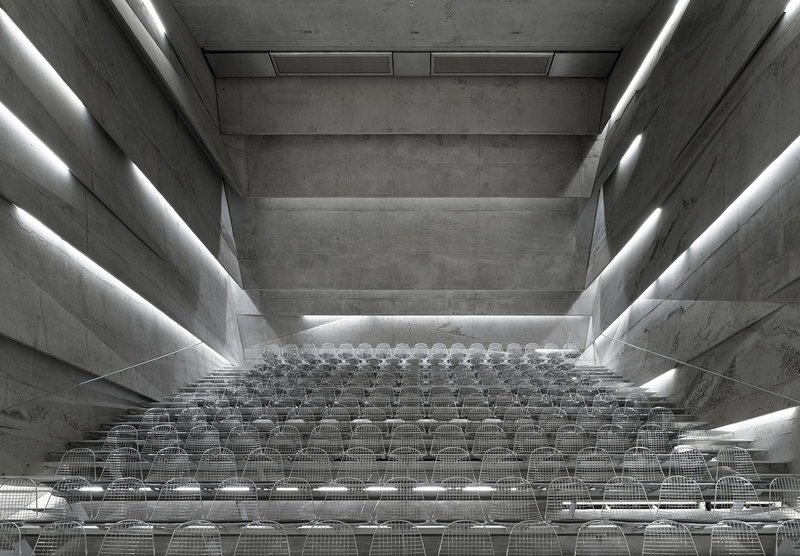 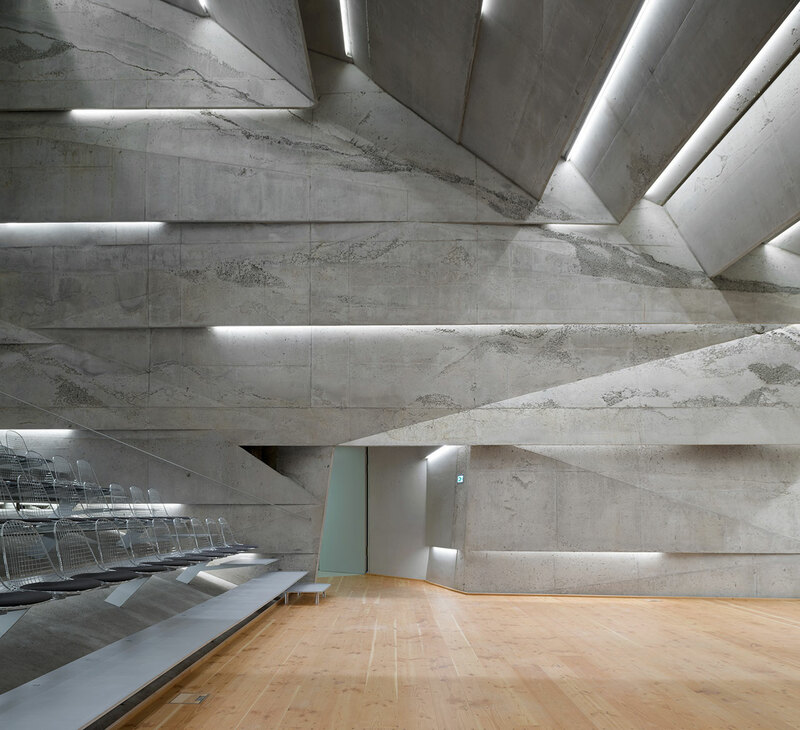 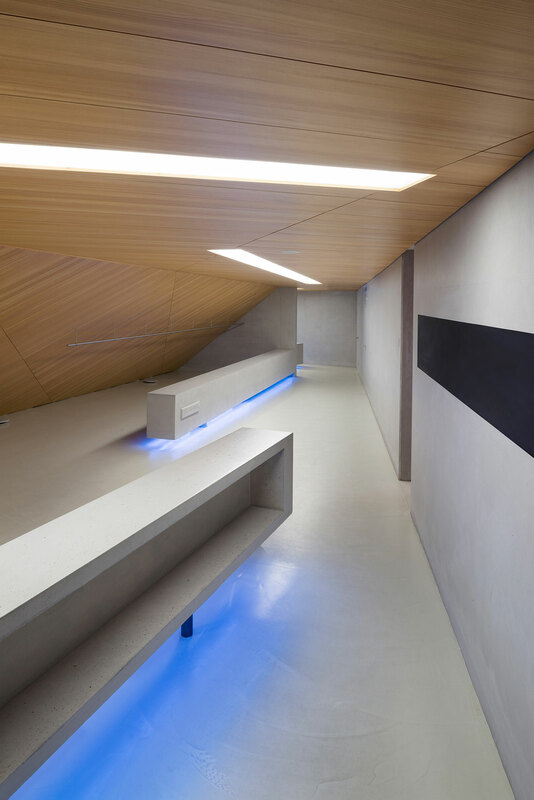 Blaibach’s auditorium, designed particularly for musical performances and not as a multifunctional space, is dressed entirely in a lightweight mix of concrete and recycled glass making sure that sound waves are reflected directly and accurately; sound-absorbing elements were also installed, in the walls, under the seating rows, as well as underneath the steps, ensuring optimal acoustics for the space. 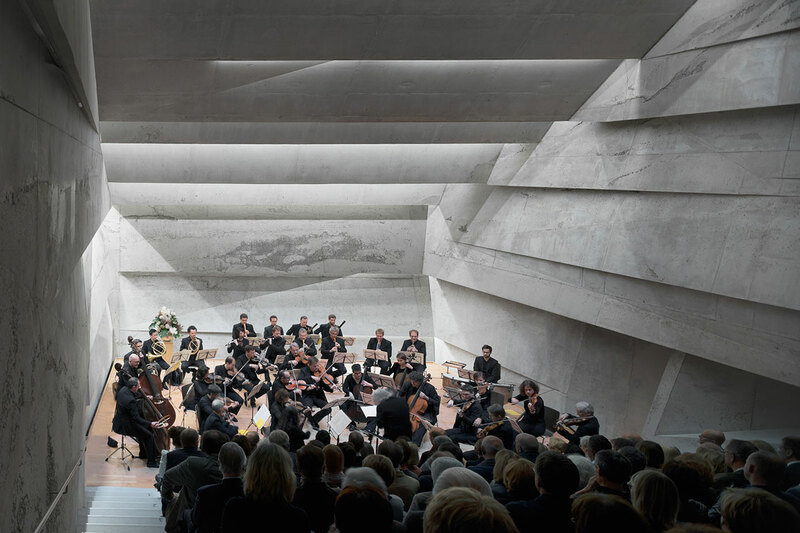 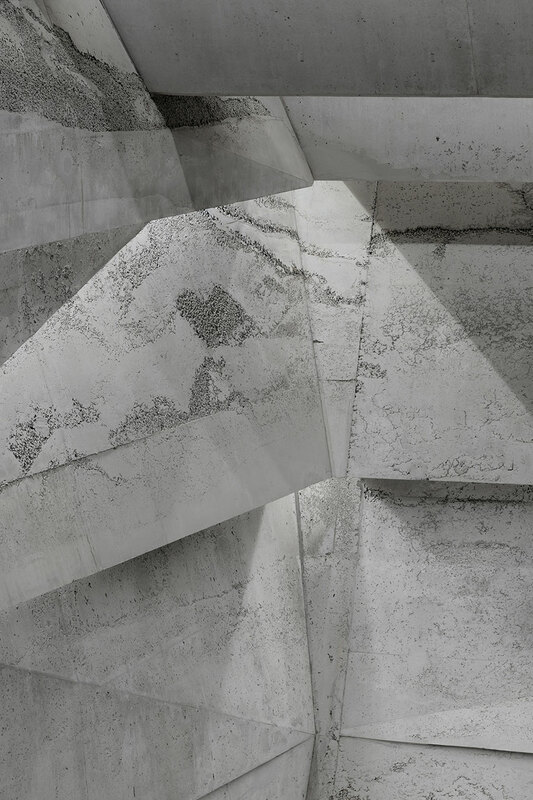 Through Haimerl’s creative blend of tradition and innovation, the concert hall stands as a monumental yet humble structure that unfolds underground and seamlessly integrates with the modest town centre of Blaibach. 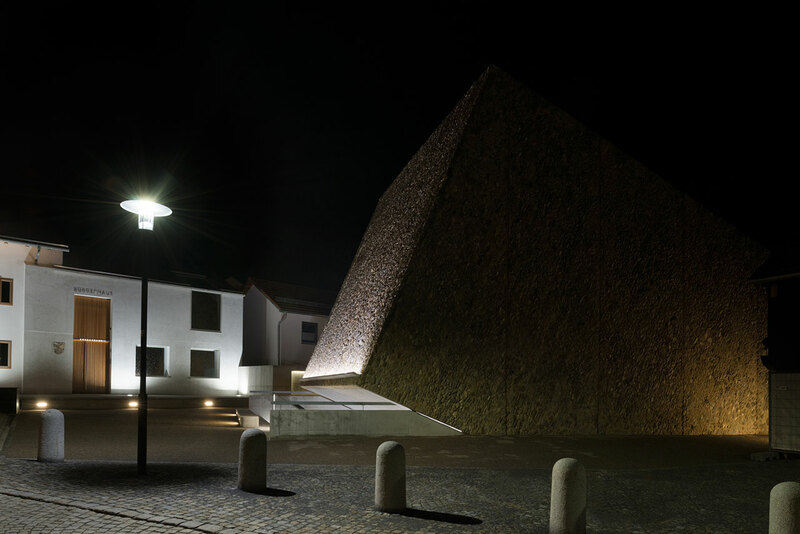 Hopefully this well-designed venue will place this small Bavarian village once again on Germany’s cultural map.